Upon first hearing that the word “hackathon” wasn’t used to describe something malicious, I laughed. Who came up with such a term? Wouldn’t something like “codefest” be more appropriate? I asked myself. Now, looking back on the experience, “codefest” doesn’t even do it justice. 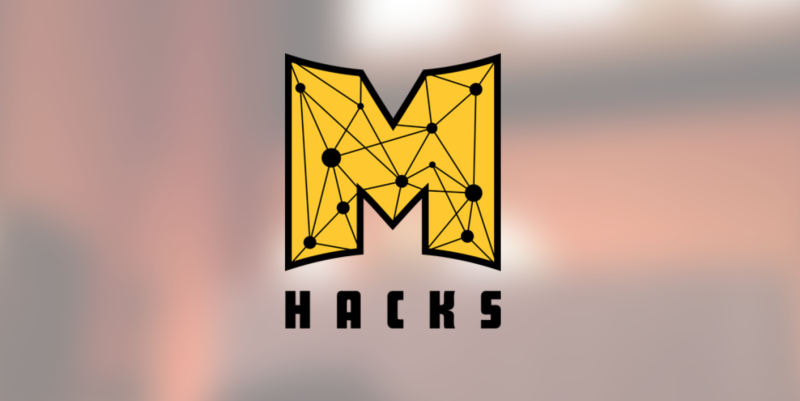 MHacks was much greater. The days leading up to September 5th went by in a blur. As soon as I knew it, I was sitting in the back of a yellow school bus being driven from Detroit to Ann Arbor. We were in the middle of a huge storm; gusts of wind and rain slapped the windows while thunder boomed outside. I had left Seattle forthis? But this was real, and I was only minutes away from immersing myself in an entirely new culture. A culture where my only prior knowledge came from scanning Hackathon Hackers posts on Facebook. Looking back on the experience, MHacks surpassed even my greatest expectations. Everything, from the opening ceremony to Red Bull can pyramids to an ad hoc campus tour put together for the high-schoolers, was perfect. Even though I only had one teammate, who had minimal coding experience, we were able to make something awesome. It’s called Quink (public launch coming soon), and is a browser extension where, on any webpage, people can see summaries of linked pages/articles with just a mouse hover. We ended up in the top-14, and both of us learned a ton from this experience in different ways. Hackathons are special. Whether you’re a pro or a beginner, they enable you build something cool regardless. You can apply your knowledge, instead of typing away at cliché problems in a CS class. Because truly, this is where you learn, and the extensive mentoring and help system created the perfect environment to do so. My biggest tip and piece of advice, especially for first-time hackers: Embrace the chaos. Things won’t go as planned. You’ll probably get lost once or twice. You won’t get much sleep, if any. And, expect that the event will be behind schedule. But, as I lay in my bed Sunday night after nearly 60 hours without sleep, I smiled and thought to myself: I survived MHacks. I’m only a high-schooler, and I can already tell that this was just my first hackathon of many. I’m already scheduled to attend YHack this November, and I know that next year, I’ll be attending as many as my schedule will allow. I was dumped head-first into this culture, and I’m not planning on leaving it any time soon. I couldn’t have had a better weekend.